Interested in what’s going on at the cursor? 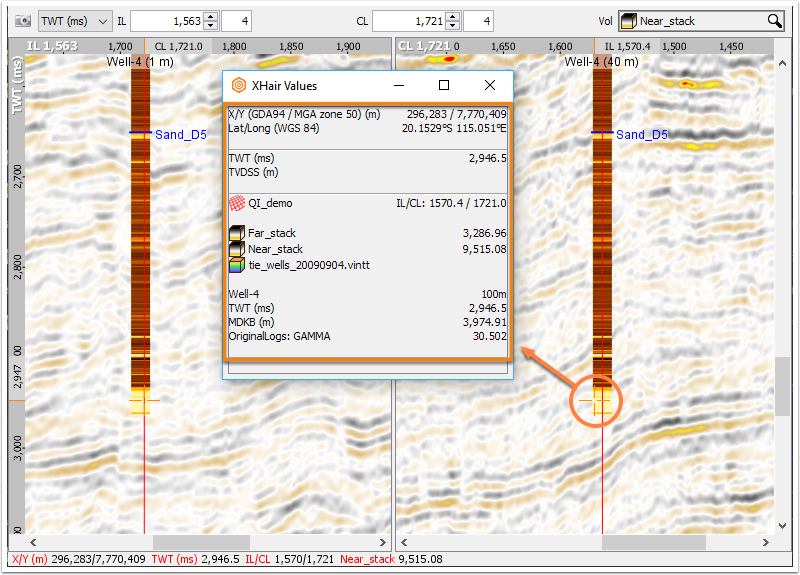 Looking for a quick way to precisely compare different volumes? Check out the XHair Values window! From the View menu in the Control Panel, choose “XHair Values” to pop up this handy window. It lets you quickly see exact values for all visible data under the cursor. Use it for checking exact XY or Lat/Long coordinates, comparing stack amplitudes, or even the horizon values closest to a specific time or depth. Want to save those details for later? Hit the hotkey Ctrl+1 and quickly copy all the values to the clipboard so you can paste them into a spreadsheet!